The UPSPro™ UBNT outdoor UPS system is designed specifically for 24VDC POE equipment like that from Ubiquiti, Mikrotik, Tranzeo, etc. 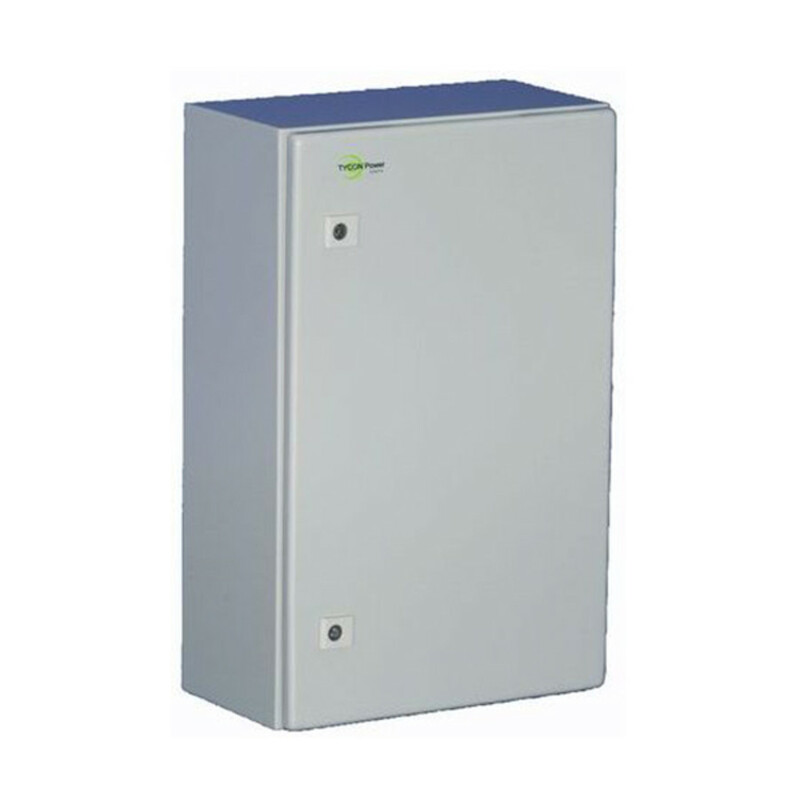 The system provides up to 192W of continuous regulated 24VDC power on 7 switched power over Ethernet (POE) ports. There is also a data uplink port if an external data connection is desired. The system is powered from 120/240VAC grid power. The proprietary charge controller maintains the proper charge on the batteries to prevent over charge and controls the load to prevent over-discharge. 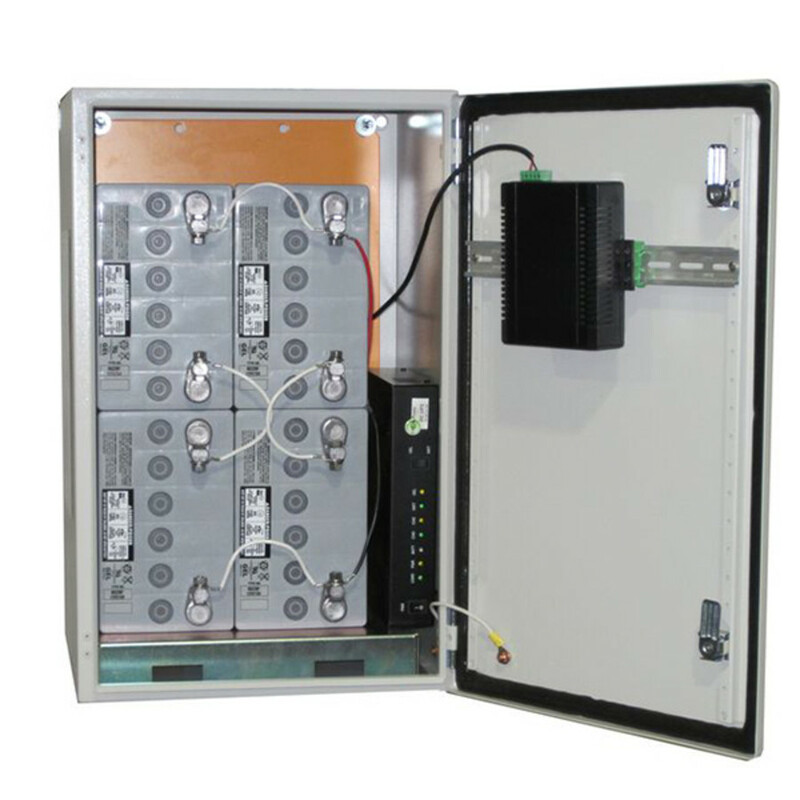 The weatherproof enclosure with security locks has multiple ports for CAT5 cable, solar and other cabling. It is vented to prevent residual buildup of any hydrogen gas. The included bracket kit allows for the enclosure to be pole mounted or wall mounted. The systems are rated to operate over a wide temperature range of -30C to +60C. There are 3 system configurations available: 51Ah Battery capacity, 102Ah battery capacity and also a system without batteries for those customers who want to use their own sealed lead acid type batteries. Battery life on the high performance GEL cells is rated at 5 years. Typical recharge time from a full discharge is just a few hours. There is a generous amount of space reserved inside the enclosures for customer electronics such as controllers, wireless AP or CPE cards, sensors, inverters, etc. The standard component layout is designed for ease of maintenance. Equipment runs on battery power to isolate it from power line surges which is a main cause of outdoor equipment failure.